May is Better Hearing and Speech Month and a time to celebrate communication. I was reminiscing with a fellow SLP, and we talked about the fact that almost everything we know and do now was not taught to us in college. ASHA (American Speech-Language-Hearing Association) is celebrating Better Hearing and Speech Month with a Twitter party (not something I knew about way back when), a Podcast series (unheard of, we learned via lecture), and Google Handouts (you have got to be kidding me!). As a speech-language pathologist (an old one, to boot), I learned many things while making my way through college; however, there are many things I didn’t learn there. Here are a list of some of the things I now realize would have been invaluable to learn in school, rather than picking them up in the “school of hard knocks” that many of us experience when working with families. I know I did not learn how to truly engage a parent in this thing we call therapy. I learned how to take notes, answer test questions, give standardized tests, fill out paperwork, plan and execute a therapy session, go to meetings, etc. I learned how to make board games (I hated this class) so that I could get an “A” in a school practicum. As far as “evidence-based practice,” what was that? Not anything taught in our classes in college. A while ago, someone said to me, “That’s great that you can get kids to say words, but wouldn’t it be even better if the child’s parent could get them to say words?” These simple words struck me like an arrow. My world was all about making children talk. While we all learn the ins and outs of being a speech pathologist, what all the different disorders are, and what to do or not to do about them, I think this one thing – that I am somehow usurping a child’s parent – was huge. Gaining parents’ trust and getting them to engage in meaningful conversations is hard (did not learn that in college). Since that time, I have made it a point to try to be the person on the sidelines, encouraging a parent to try something, or engaging in meaningful conversation about what a parent has tried and what they think they could try next. As providers, our ability to listen is more important than our ability to speak. No one taught me how to do therapy without toys or game boards (whether developed by myself or not), or how to walk into someone’s house, take stock, and use what they have to get their child to talk. I’ll bet it is even harder for new SLPs when they walk into a home without the electronic gadgetry that is so prevalent in the world today. But long ago, kids did not have many toys, and they resorted to playing games such as Hop Scotch, Hide and Seek, Tag, and using their imagination. No one ever uttered the words “adult learning” or talked about how this impacts our jobs. Adult learning, in my mind, meant working with patients who had a stroke or brain injury. This did not apply to young children. When working in a school setting, we never saw parents unless we met them during parent-teacher conference night. The idea of incorporating parents of young children into a therapy session was never heard of, or thought of, when I went to school. This makes me sound very old, and while I am very old, I have to wonder, what are young SLPs being taught, and does the word “parents” ever get mentioned? 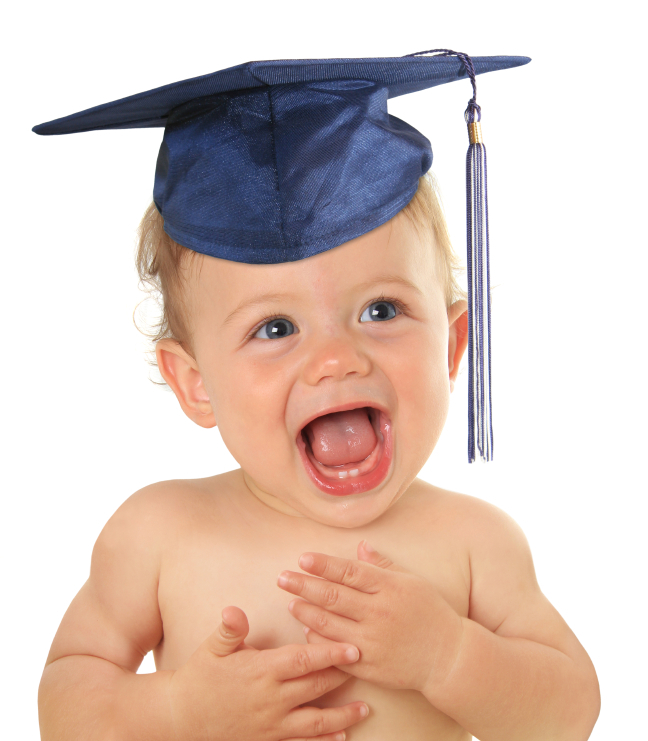 I know college curriculums are jam-packed with the things one must know in order to become an SLP, but young children have parents and other caregivers, and they should be factored in and considered when working with infants and toddlers. No one told me that, perhaps one day, you may change the way you do your job, and that it may be for the better. Change is always hard, but inevitable. We get stuck in doing things the same old ways and, while they may or may not be successful, the point is we need to change and keep up with the times. Times are a-changin’, and we need to change with them or get left behind. Are you trying to figure out the best way to have conversations with families that revolve around more natural, routines-based priorities and concerns? Here’s a great list of Identifying Family Activities and Routines – Conversation Starters to get you headed in the right direction while you find your own niche in this area. 4 Responses to They Didn’t Teach Me This In College! Great job. I can relate to all that you wrote! Loved this Maria! and you are not OLD…stop it! As a parent I can tell you that empowerment and knowledge that SLP’s have passed on to us has been essential in helping our own child in the communication area. Watching speech therapists work with our daugther is like seeing magic right before our eyes. As a new graduate and new Early Interventionist I can say that while there is much more talk of EBP in graduate school than it sounds like you were exposed to, there was literally no mention of early intervention as a career path for SLPs. I had no idea that this even existed until I was put into a practicum experience with an EI/SLP, and thank goodness for that! Some of my coworkers do things the “old way” and so I feel blessed to be mentored in the “new way” right after starting work. No old habits to get stuck in! It is absolutely terrifying to go into someone’s home with no materials or toys and think on your feet, especially when you’re new and my schooling seems pretty irrelevant to these expectations. I’m learning a lot through great websites like this and my state’s advocacy groups.